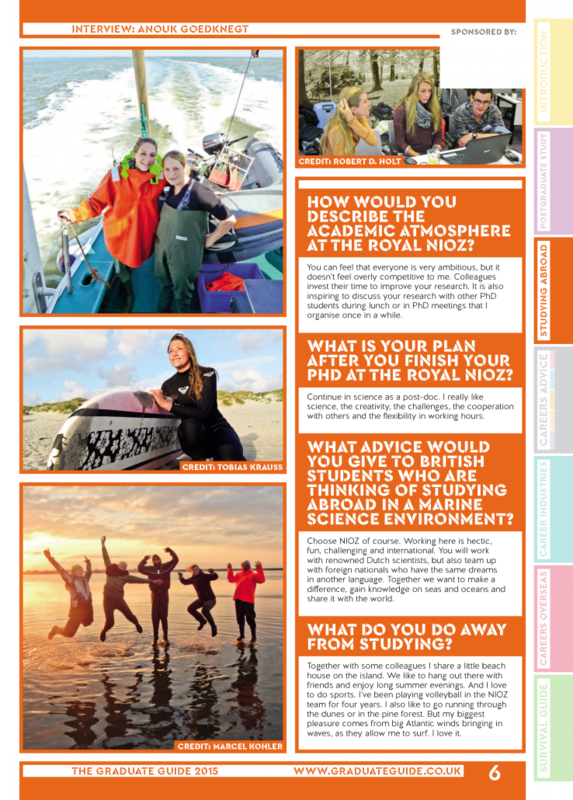 I was asked for an interview for the Graduate Guide UK. 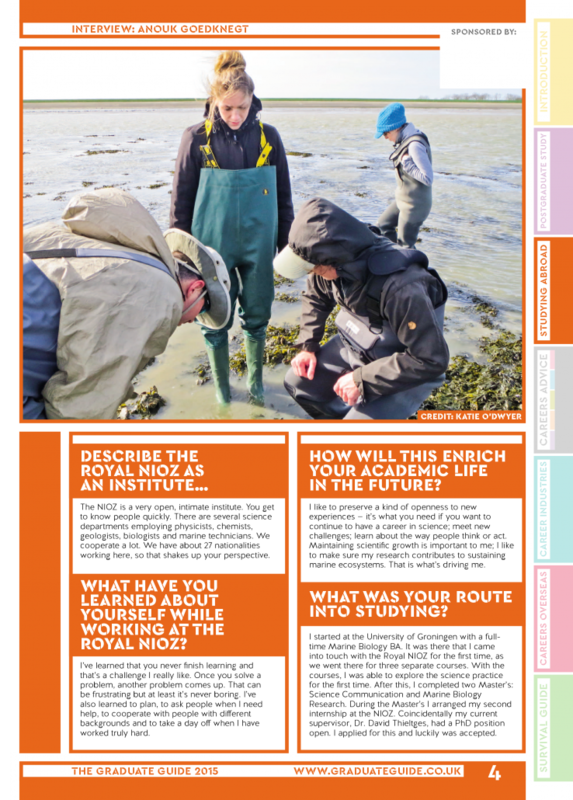 This is a guidebook for potential new PhD students who are orientating for a new position at an institute/university within Europe. 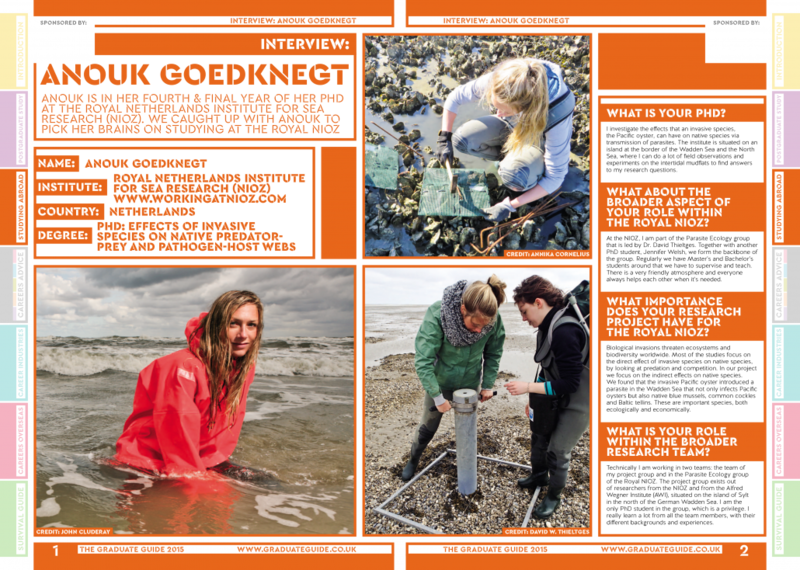 At the moment of the interview, I was working as a PhD student Marine Ecology at the Royal Netherlands Institute for Sea Research. The entire interview can be viewed below or downloaded here.